Adult coloring books have taken the world by storm over the past few years, and with good cause! 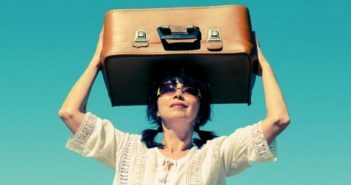 Considering how much stress the average person deals with on a daily basis – with work, school, relationships, parenting, and general “adulting” – it’s wonderful to find a simple creative endeavor that brings about so much joy and peace. If you’re one of those people who finds delight in losing yourself in coloring those patterned books, then Zentangles may be your next creative obsession. Instead of just filling in someone else’s drawings with color, you have the opportunity to draw your own! 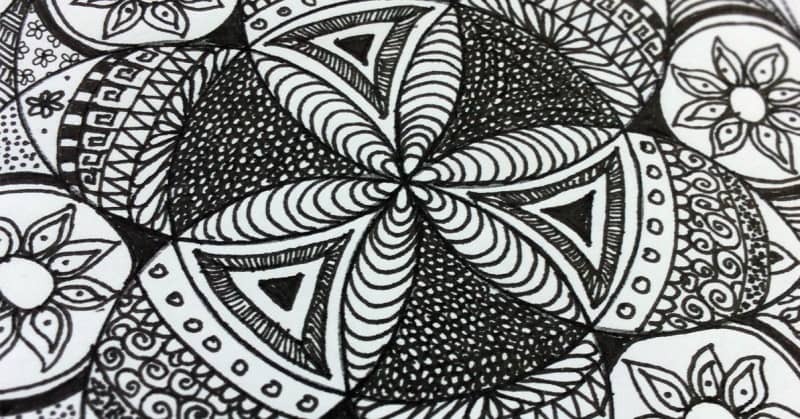 In a nutshell, Zentangles are a type of “doodle art.” Made up of repeating or structured patterns and textures, they increase your focus while ramping up your creative abilities. Maria Thomas, a calligrapher, and her partner Rick Roberts, created the official Zentangle® Method together. Rick noticed that Maria would idly doodle patterns while she was working on a piece, and asked her about them. She replied that she would lose herself in those drawings, and felt a sense of “freedom, well-being, and complete focus” while doing so. 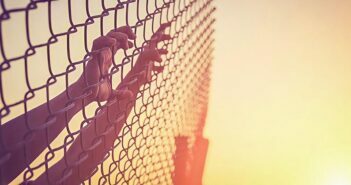 Maria described feelings of selflessness, timelessness, effortlessness and a rich immersion in what she was doing – all classic aspects of a flow state. Having studied meditation for years, Rick recognized this as a form of meditative immersion, and together, the two of them designed a method to help other people experience a similar sense of calm and peace while creating their own beautiful works of art. Do They Take A Lot Of Time To Make? They can take as long or as little time as you’d like. Some people prefer to work on small tiles (like 3×3 inches square) so they’re not too daunted by the scale, and can complete a Zentangle in a single sitting. That sense of accomplishment is very satisfying, and multiple tiles can be arranged together to create a larger image, if desired. Others like to create big pieces that take days or weeks to complete. It really depends on your own personal preferences. Similarly, it’s up to you whether you create monochromatic images, or if you color them in with colored pencils or markers later. 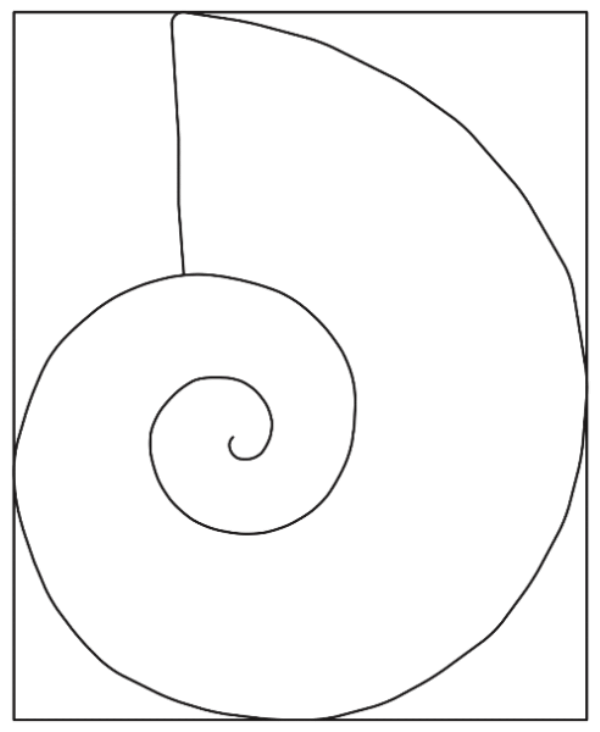 What Are The Benefits To Creating Zentangles? 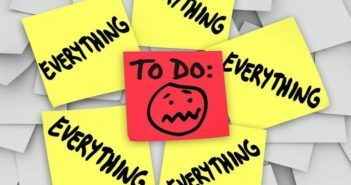 People are normally so accustomed to multitasking that they don’t realize just how much peace can be found by being completely engrossed in a single, creative task. The drawings evolve naturally, organically, so there’s no stress about pattern placement, regular intervals, etc. It’s all just free flow, wherever the creative muse takes you. 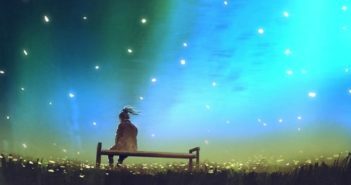 In addition to the calm that can be found by being totally present, many people have had moments of clarity or various epiphanies while creating them. When the mind has a few moments to calm down and exist in a state of creativity, all the worries and stresses of day-to-day life quiet down briefly, allowing the subconscious to speak up. Some people love the Zentangles they create so much that they frame them and hang them over their desks at work, or in other places where they’ll be seen regularly. Just looking at a pattern that was created in a state of calm can often bring back that feeling. 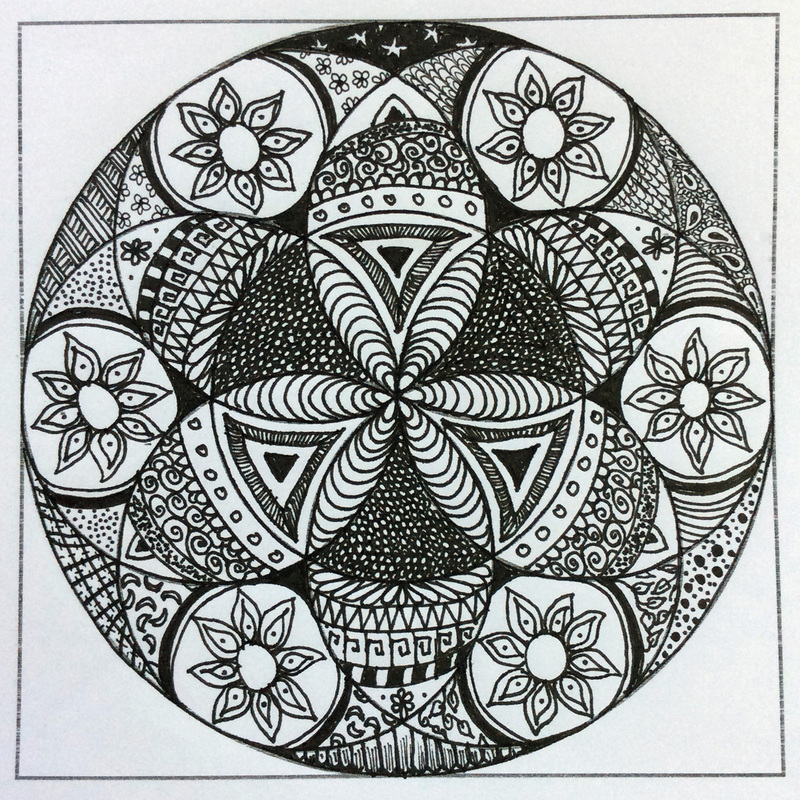 You can either download a Zentangle template online (such as one of the ones we’ve created for you – see below), or create your own. We recommend beginning with a template so you can get used to the practice, and then you can make your own, in whatever forms you like. You’ll also need pens, pencils, markers, or any other medium you’d like to work with. It’s recommended that you try a number of different writing or art utensils to see which ones you like best. Technical pens like Micron or Staedtler are great, and you can also try out brush markers, calligraphy pens… anything goes, really. You can’t! That’s the beauty of these art pieces: there’s no such thing as doing something wrong. There are no rules, just guidance that you can follow, if so desired. Some people are intimidated by anything related to drawing, because they might not have much confidence in their own drawing skills. Please, please don’t let this intimidate or deter you. Zentangles are meant to be abstract doodles that allow you to explore mindfulness and creativity. Anyone can do them. They’re just repeated patterns, textures, and flowy lines that come together to create beautiful works of art. They’re proof that anyone can be an artist: you just have to let your intuitive, natural creativity come forth in your own way, without expectations, rules, or other people’s judgment. I Don’t Like What I Made. Can I Do It Over? As mentioned above, there’s no such thing as a mistake: only opportunities for learning and growth. You don’t like how one Zentangle turned out? Okay, take a moment to ask yourself what you disliked about it, and also what you did like about it. 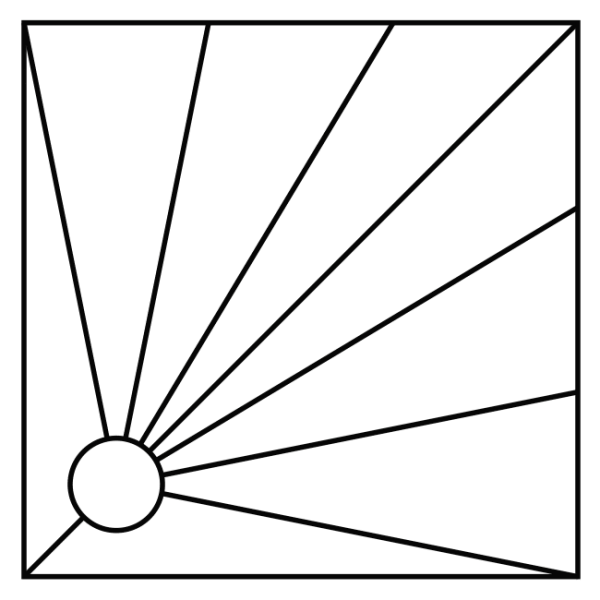 This is your opportunity to determine whether you prefer more geometric or organic forms in your drawings. Do you prefer sharp angles? Or fluid lines? Do you prefer to work with a template, or let your own creative whims guide your hands? Do you like the simplicity of 2D? Or do you like to add shading? These little canvases are made for you to explore your creativity, and the possibilities are endless, honestly. Try not to allow yourself to be constrained by a vision of what you’d like your Zentangle to end up as. The entire point of these drawings isn’t the end result, but rather the creative process: the experience itself. Being wholly engrossed in the moment, letting your worries and stresses fall away as you make something beautiful. People are all born creative, but many lose their love of creativity fairly early in life. This can happen in childhood, in high school, or really at any point in time, and usually kicks in when there’s a sudden criticism about one’s art. 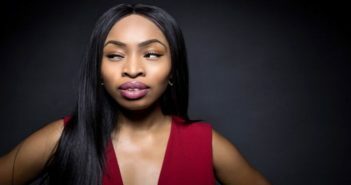 This criticism can come from a peer, a parent, a teacher, or even one’s own negative self-talk and frustration. Suddenly, any type of creativity is associated with a fear of failure and/or rejection, and so this beautiful outlet is dampened. 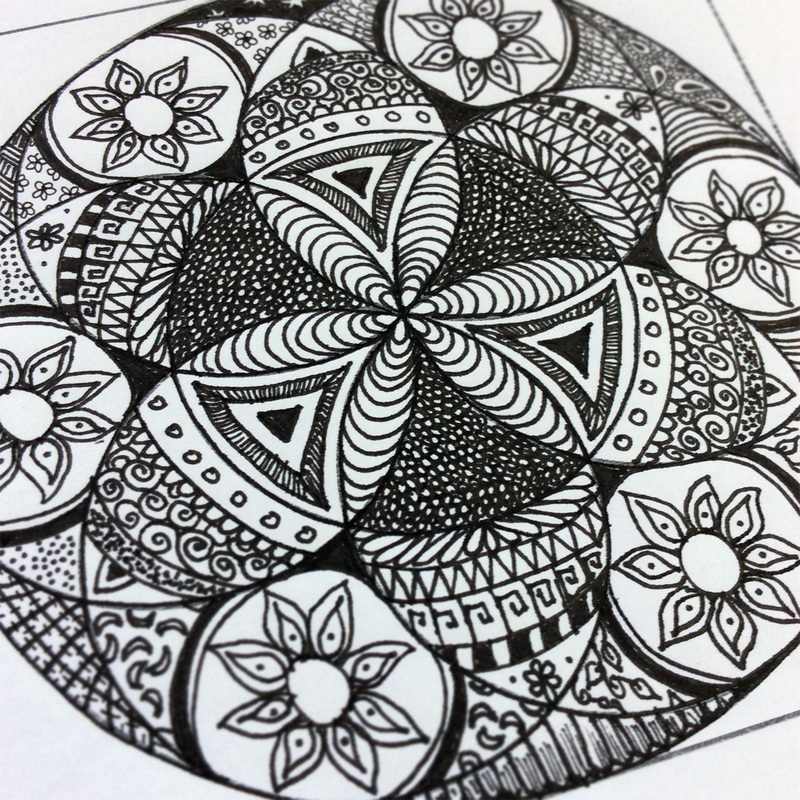 Zentangles are such a wonderful way to re-ignite your creative spark. There are no expectations, not even directions! You can spin the tiles around as you draw (that’s actually the easiest way to draw the patterns), and even the guidelines in printable templates are just suggestions. This is creative play at its purest and most enjoyable. Let’s dive in, shall we? 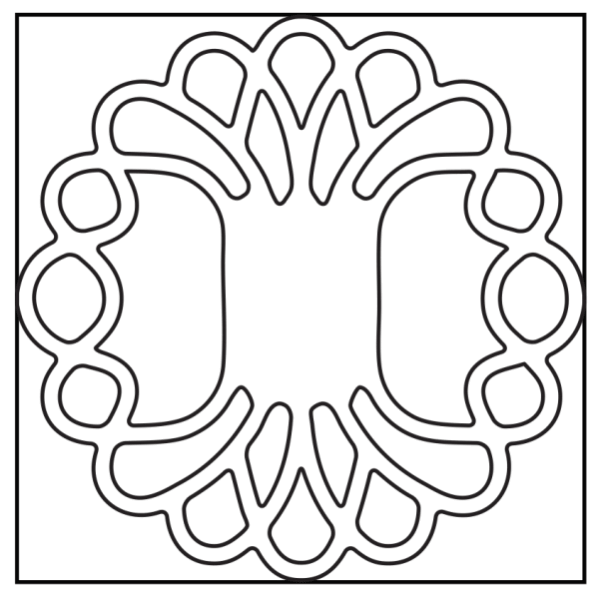 And as mentioned earlier, we have created a number of different templates for you to download and print out to use as a starting point for your own Zentangle practice. You’re welcome to use these, or else just dive in and create your own!